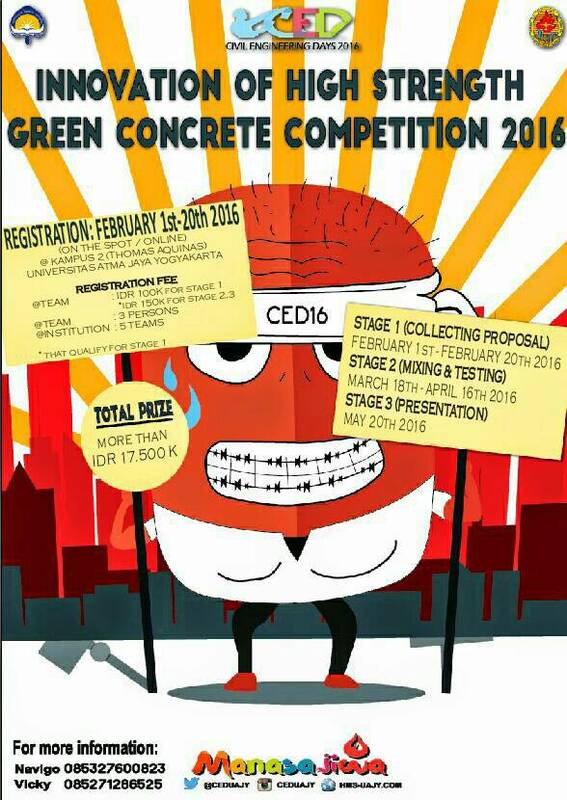 Registration of Innovation of High Strength Green Concrete Competition 2016 or “Lomba Beton Ramah Lingkungan tingkat Nasional ” will be open from February 1st until February 20th 2016. So what are you waiting for ,’future engineers” ? It’s time to registrate your team !